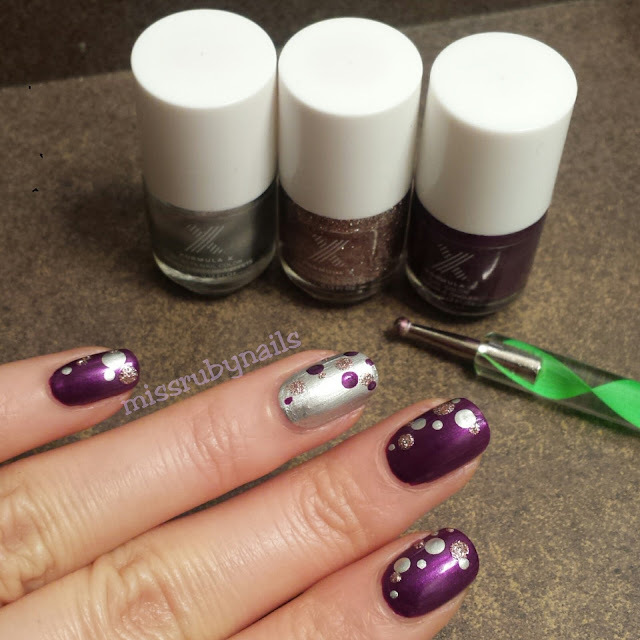 Here's a simple polka dots manicure when you have limited tools polishes. 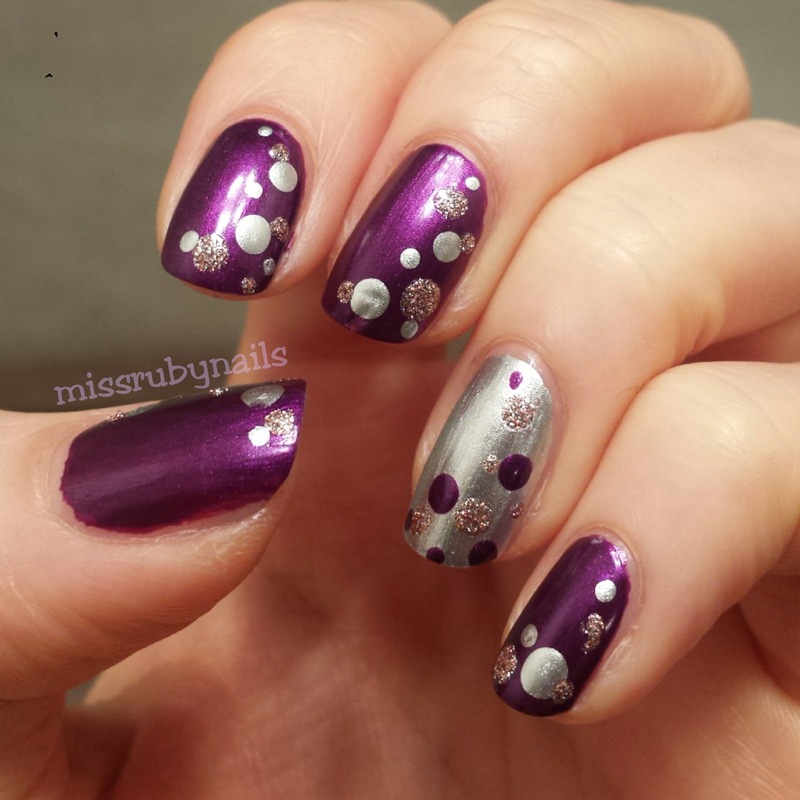 The key is to find polishes that go together! 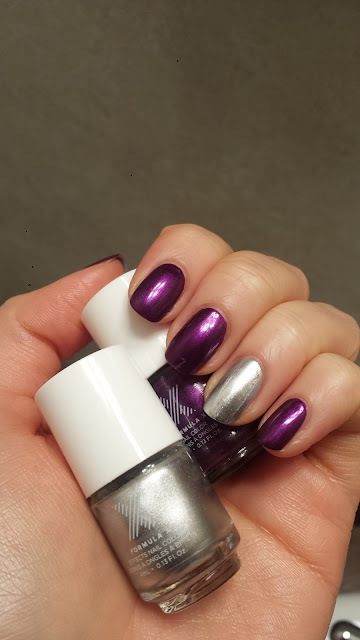 The base colors are metallic purple and silver by Formula X. I applied 2 coats of both for this look. Then I used my dotting tool with a big head and a tiny head for the polka dots. 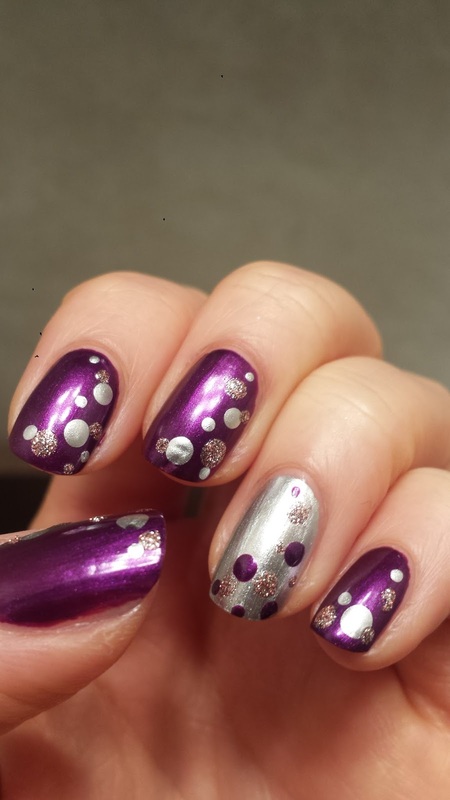 I put the dots close to one side of the nail to make it more artistic. I also added some pink glitter for the dots to make it a little extra cute. Easy!